By the way I have been looking for recent interviews or news about E'Casanova and guess what I found? ZERO, NADA, ZILCH!!! Why was his manager there but not him? Where is E'? Is that from his website? What does it mean? Non sexual life threatening illness? Non sexual? Don't know how to put this together.. I recall reading this when it came out, but didn't give it enough importance. Then I saw his manager at the funeral. Plus the picture of E'Cassanova at the Memorial it's a fake. I am a Photoshop user for the past 12 years and I know a pasted photo when I see one. Lighting is also different on him and doesn't match his background. Somebody made a mistake there. I've done photoshopping for a few years myself, and I'd be interested to see the photo you've looked at. The only one I can find is a small photo, and I can't see any errors with that one. you mean this one is fake? Exactly, besides look at the edges all around, they are way too sharp for being natural. As Photoshop users we must have our eyes "trained" to see what the regular eye can't. 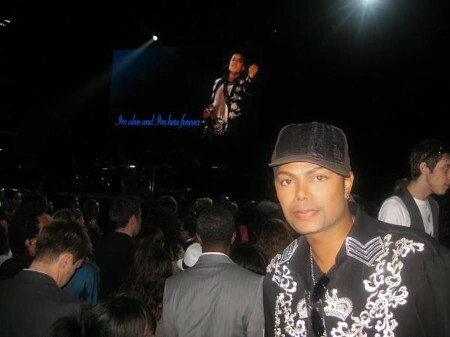 Isn't that the jacket Michael wore at the O2 press conference? So, there's nothing bigger than that one, and this one? Well, I'm not saying you're wrong about it being photoshopped. If I could see a much better quality version of this photo then I'd know for sure..
but I think that white piece could be part of the sleeve on his imitation 02 jacket. It shows up on this photo too.. It's an imitation. And the lacey pattern is different. Kirsche wrote: What does it mean? Non sexual life threatening illness? Non sexual? Don't know how to put this together.. This is the same thing that Cassandra said about Michael's illness. 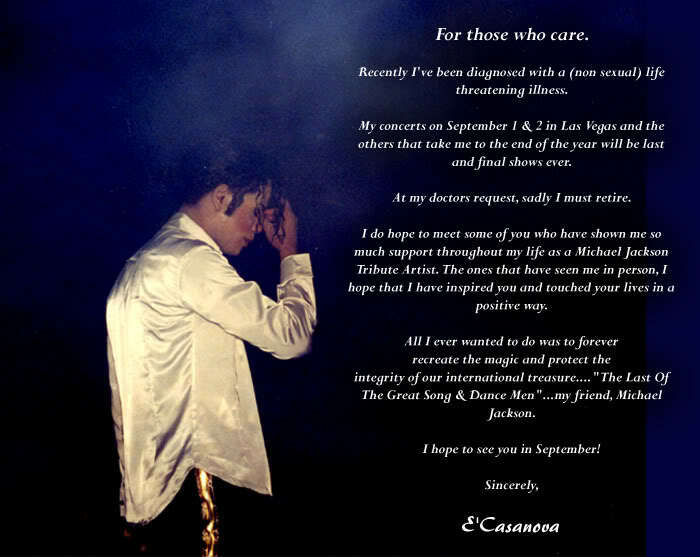 My belief, E Casanova MUST retire so that when Michael does return people will be so ready for him that the earth will move in his presence. No Michael at all for now. Then...PANDEMONIUM!!!! E is part of the hoax. It has being being planned for years. This is so clever. 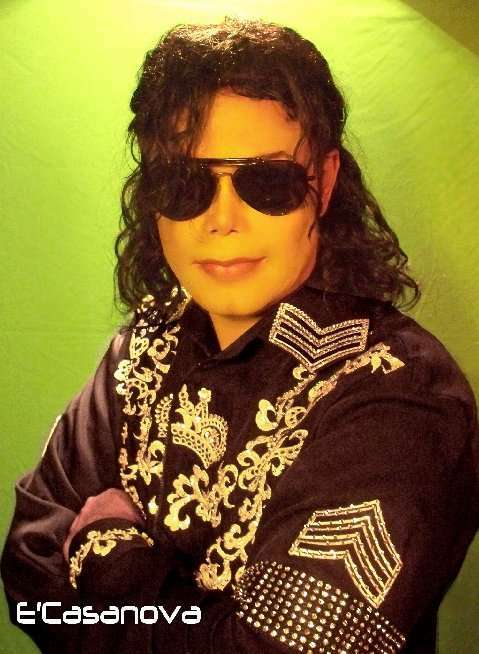 It's all for love, l.o.v.e. Melzy777 wrote: It's an imitation. And the lacey pattern is different. As for the presumed Publisist: It's november 11th. We'd like to see pictures of that October performance that E' was supposed to give. Nothing personal but I follow the rules of confirmation and to truly prove a source you need evidence. You are the source right now and we want credibility. One can state anything after all, paper holds whatever one puts into it, so please corroborate your claims, and please explain why was his manager present at the Funeral but not E' himself. I like the SC one too. Very nice - and expensive!!! Ya that photo does seem edited for sure. November 16th. Still no word from the "publisist". I guess there is no real evidence of those october performances. Can anyone else confirm the existence of those shows? Why would a hacker upload a picture lie that on E'casanova's site? A hacker would lock the page and ask for a ransom or something like that. Unconfirmed news are tabloid stuff. Don't buy tabloids. Um! I saw this as I was reading. I am trying to understand this one. 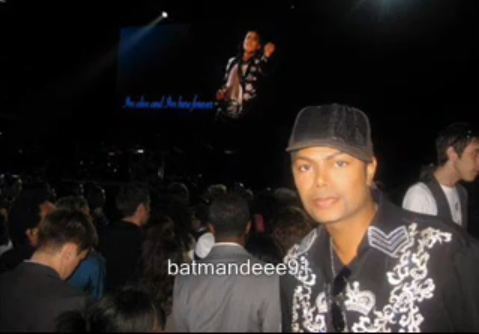 I am wondering why when E'Cas manager, Majestic, is a close family friend of the Jackson's and Michael personally had E'Cas substitute for him at times, why was E'Cas not invited to the burial. It would have made sense for him to be invited since they had Majestic as the common denominator. JMO.